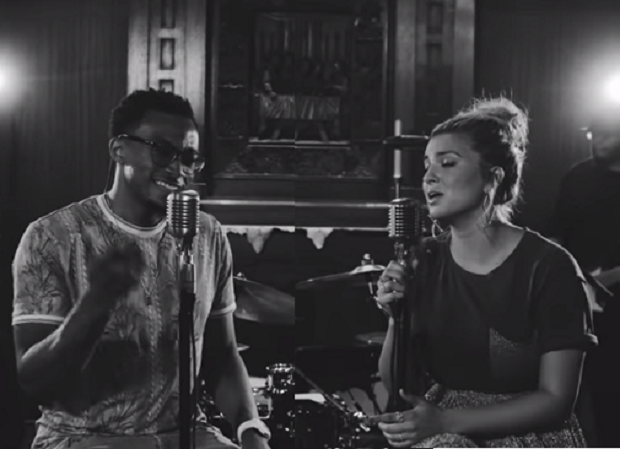 First Look: Tori Kelly and Jonathan McReynolds are "Sure"
(September 14, 2018) I will confess to having a soft spot for both Jonathan McReynolds and Tori Kelly. I was a bit late to the McReynolds party, not really discovering him until his second album, when he completely won me over with his incredible tenor voice (and some great songs, such as his duet with India Arie). Tori Kelly was even a further reach. When she jumped onto the scene in 2016, some were quick to label her as the new Taylor Swift. But she quickly showed she was her own artist, releasing the uber-infectious “Hollow,” and then confounding her critics by issuing a sophomore album that delved into her Gospel roots, with collabos featuring Kirk Franklin and The Hamiltones. It is on that new disc, Hiding Place, that she teams with McReynolds on a sweet new song that has me smiling. “Just As Sure” combines two crystalline voices on an acoustic number that expresses the ultimate faith in the One who never leaves us. Tori and Jonathan sound as sincere as they do sweet on this song of comfort. It is a great way to start a day…or finish it. Check it out.